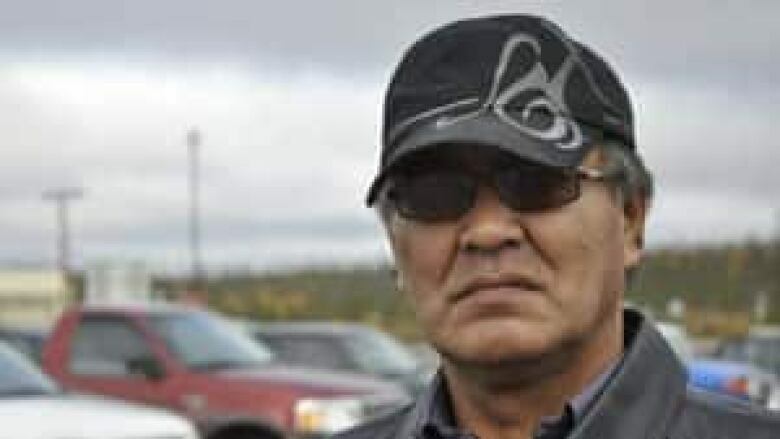 Gwich'in Tribal Council President Robert Alexie Jr. says he signed N.W.T. 's devolution agreement-in-principle Tuesday. Gwich'in Tribal Council President Robert Alexie Jr. says he signed on to N.W.T.’s devolution agreement-in-principle Tuesday. This will put the Gwich’in at the negotiating table with the territorial and federal governments. "There are things that we are not happy with but if we are standing on the outside looking in, we can’t change anything, so we want to be at the table, and standing on the outside looking in wont change anything," said Alexie Jr. The Gwich'in Tribal Council was previously against signing on, and even filed a lawsuit earlier this year against the federal and territorial governments saying it was not properly consulted in the negotiation process for the agreement-in-principle. Alexie said his stance changed during the election when he was running for president. He said his people were not informed about devolution and a clear explanation from the GNWT helped shape the decision to sign on. He said the council’s lawyers will be called this morning informing them to withdraw the lawsuit. There are now four aboriginal groups in the Northwest Territories who have signed on to the agreement-in-principle.